There has been a lot of discussion around Mortgage Brokers recently with the royal commission looking into the mortgage broking industry. The following Fact Sheet shows some interesting statistics. Welcome to the 2015 Summer edition of our Inspired Living newsletter. Welcome to the 2015 Spring edition of our Inspired Living newsletter. With interest rates being so low at the moment now is a good time to review your financial situation. Are you paying high interest on an unsecured personal loan or credit cards? If you have enough equity in your home you may be able to roll them into your home loan. to free up some more income and reduce the amount of interest you are paying. With credit card interest being as high as 20% and some even higher, it may make sense to roll this extra debt into your home loan as your home loan would have a much lower interest rate. This will reduce the amount of interest you are charge and in turn reduce your monthly repayments. Then if you have extra cash you can pay it towards your home loan to reduce the term of the loan and save on interest. Call us or come in and see us and we will be happy to review your situation. Welcome to the 2015 Winter edition of our Inspired Living newsletter. 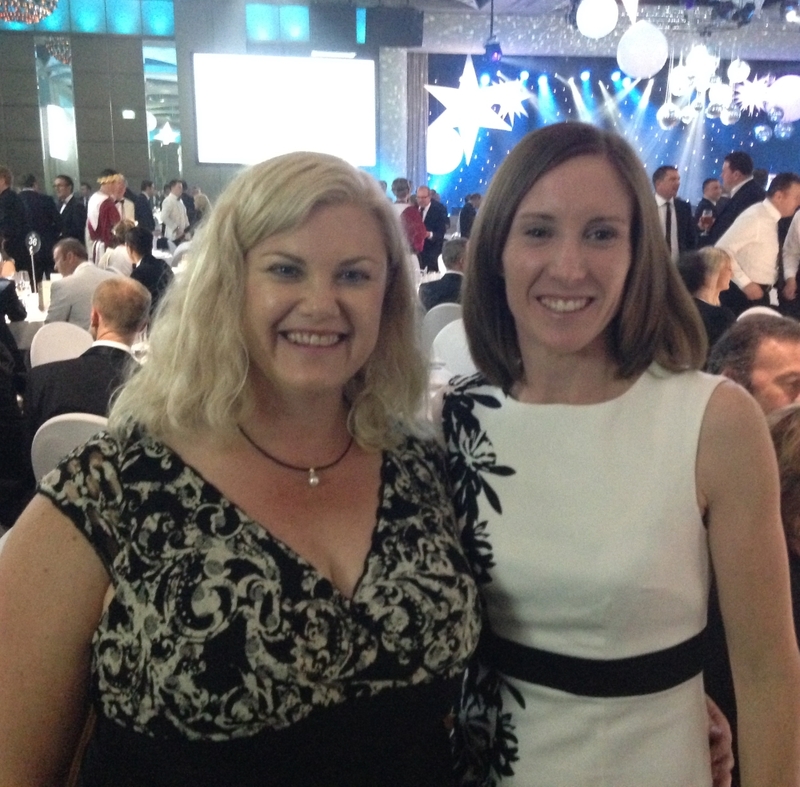 In May Angelique and Kerry were fortunate enought to be able to attend the 2015 MFAA National Convention in Melbourne. The event presented a number of highly regarded motivational speakers as well as providing numerous learning and networking opportunities. 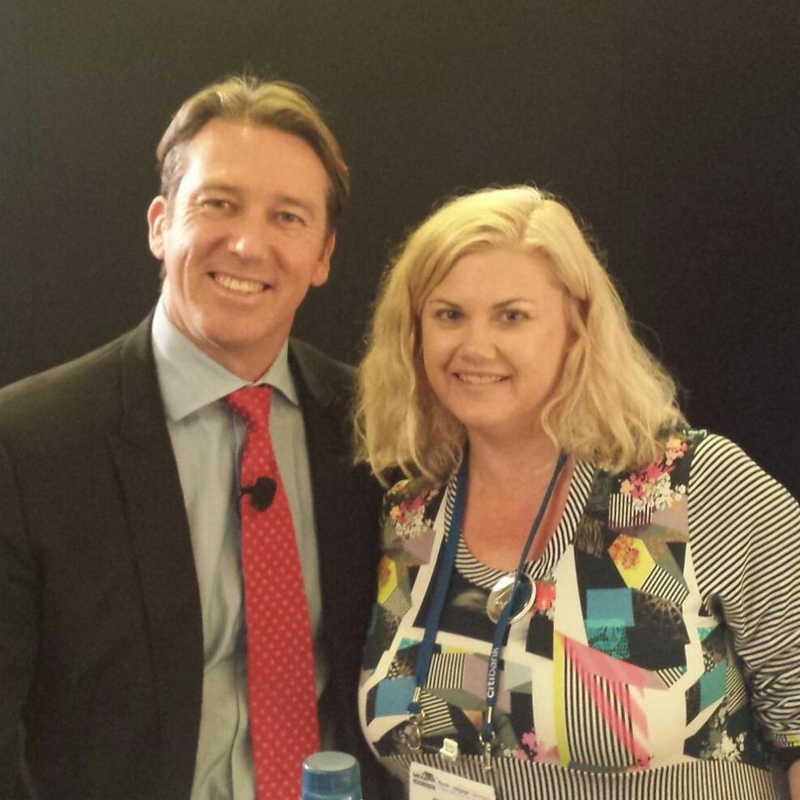 McGrath Foundation charity luncheon held by Glenn McGrath and supported by Commonwealth Bank. Gala dinner and networking events. 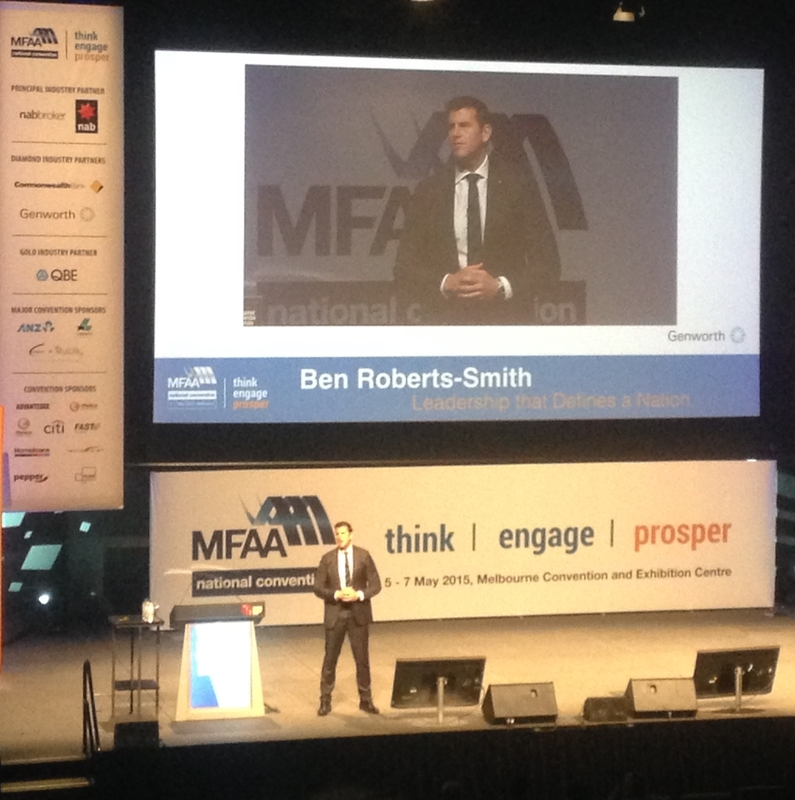 Inspirational 'Frontline Leadership' presentation from Benjamin Roberts-Smith VC MG, recipient of both the Victoria Cross Medal and Medal for Gallantry. 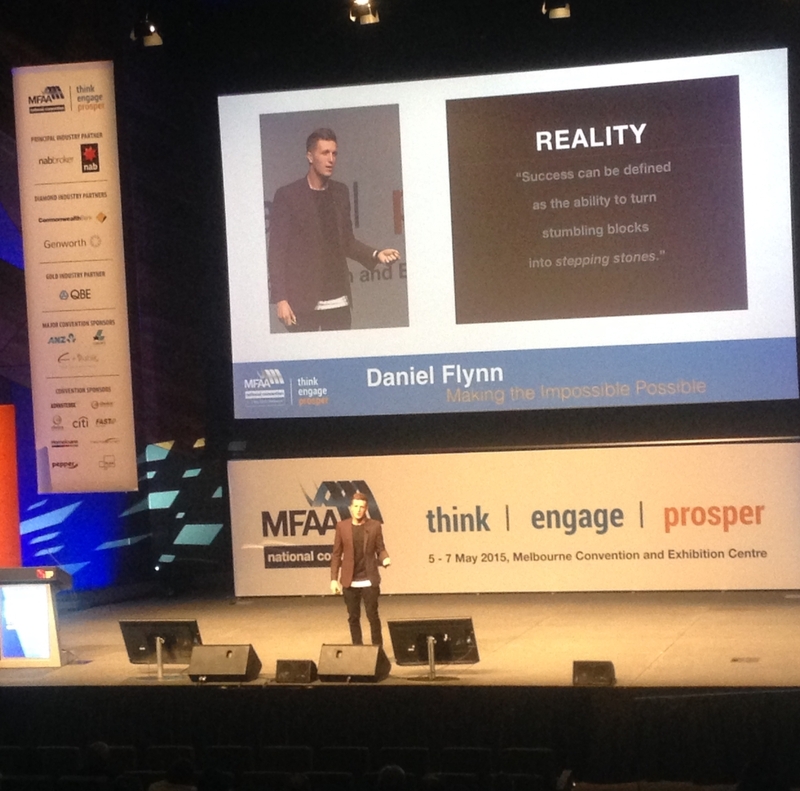 Co-founder of 'Thankyou', Daniel Flynn, spoke about the challenges and successes of their enterprise which funds safe water, food and hygience projects in less fortunate countries. 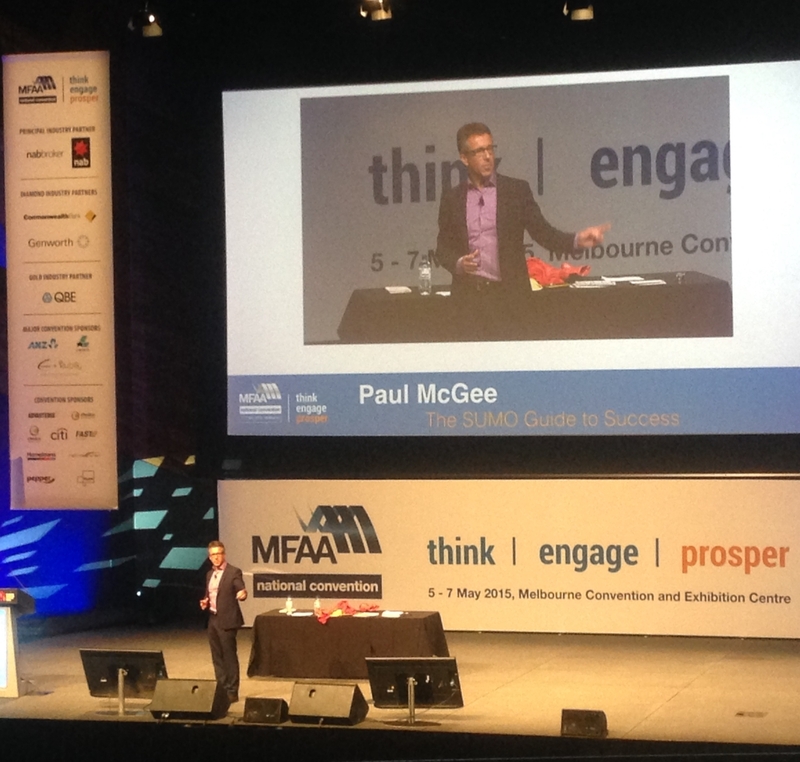 The SUMO guy, Paul McGee, discussed leadership, change and the SUMO principles of 'Shut Up, Move On'. Meet the delightful Johnson family who came to see us last year to purchase a new house. Thank you for welcoming us into your beautiful home. Is it a good time to fix your rate? If you are thinking of buying a house or looking to refinance you may be considering fixing your home loan. Fixing your loan involves fixing the interest rate for a set period - often for 1, 3 or 5 years although lenders offer longer loan terms. Here are some things to help you decide. What is a Family Guarantee or Family Pledge? Do you want to help your children get into a property but don’t have any spare cash to help them? Another option is a family guarantee which allows the bank to use some of the equity in your property to help out as extra “security” for their loan. Unlike old style guarantees which meant you put your whole house on the line, these guarantees are limited to a set amount of the purchase price (for example 20% plus costs) and the loan is in the children’s name not yours. Do I need to go to the Bank? • I want to increase my home loan? • I plan to sell my home? • I want to review my home loan? No. Call or email Angelique or Richard and they will be happy to help you at any time over the life of your loan. We are a one stop shop for anything to do with your home loan. Is there a charge to see Territory Loans? No. There is no charge to come and see us at any time. When you do a loan with us the bank pays us a commission but this does not mean you pay a higher rate or any additional costs. We are independent of any particular bank and we come up with the best option to suit your needs. 2015 brings a fresh chance to clean up your financial act and get back on track. There is little point making money resolutions without a budget. If you go to www.moneysmart.gov.au they have some great tips on setting up your budget. They also have a great free app called “Track my Spend” which will help you keep a track of your spending. Paying off credit cards and any high interest debt should be your first priority. Maybe consider consolidating debts into one or look at transferring credit cards to a no interest or low interest balance transfer card. Build a buffer for the unexpected – a lot of financial experts say we should aim to have 3 months’ worth of savings in case of emergencies so start a savings account for emergencies. Now is a good time to open an account to save for Christmas so you don’t end up with a big credit card bill next January. Even if you put away $25 for the next 50 weeks you will have saved $1250. When you set yourself a goal it’s important to have a plan so you can make your dream a reality. After all a goal without a plan is just a wish.